FRANKLIN, Ind. 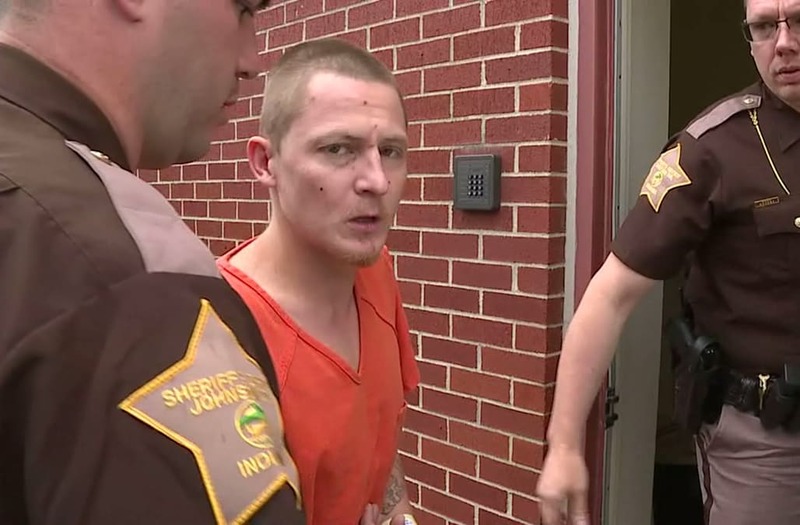 (WXIN) -- The man accused of duct taping and robbing an elderly couple inside their Franklin home last week apologized to his alleged victims while walking into a Wednesday morning court hearing. "I'm sorry, I'm so sorry," said 27-year old Reese Keith. The apology came as Keith was walking into an initial court appearance to hear the list of charges filed against him related to the May 15 burglary and an earlier incident involving Greenwood police. "Our job at the prosecutor's office is to ensure that justice is served, and that's absolutely what we'll be doing in this case," said Johnson County Deputy Prosecutor Alex Hamner. Keith was initially suspected of walking away from an accident in Greenwood on Sunday, May 14. Greenwood police say Reese was in possession of drug paraphernalia and driving while intoxicated in a stolen car at the time of the crash on State Road 135. Over the course of several hours, as officers tried to take Keith to the Johnson County jail, medical issues and episodes resulted in Keith being transported for three hospital visits. Keith was eventually admitted into Johnson Memorial Hospital Sunday night and Greenwood police made the decision to leave him there overnight. The incident prompted Greenwood police to announce a policy change regarding suspects who require hospital admittance. The new policy states that the decision to stay with a hospitalized individual or release them on their own recognizance must go through an on-call deputy prosecutor. The deputy prosecutor must run the decision by an on-call judge for approval. Early Monday morning, hospital officials say Keith left on his own, with an IV still stuck in his arm. Police say Keith walked about a football field away to the home of 90-year-old Clayton Dixon and his 88-year old wife, Ella Dixon. Franklin police say Keith hid in the Dixons' garage until they left Monday afternoon. When the Dixons came back, Keith allegedly threatened them with one of their own guns, duct taped them to a chair and a walker, and drove off in their car with three of their guns. Four days later, Keith was captured by police in Richmond, where investigators believe Keith was squatting in a house to avoid police. It's not clear how Keith got to Richmond, or why he was there. After being transported back to Johnson County and interviewed by Franklin police, Keith appeared in court Wednesday morning. He currently faces a total of eight criminal charges for the events of Sunday and Monday. "Two separate cases, one of them is from his initial arrest that led to him going to the hospital," Hamner said. "And the second is from what transpired after the hospital." The Johnson County Prosecutor's office successfully added two amendments to the cases against Keith. One amendment elevated the burglary charge Keith faces to a Level 1 Felony. That decision came after prosecutors learned of the injuries Keith allegedly caused one of his burglary victims. "The information we received was that one of the victims in this case suffered pain, bruising and based on that, we decided to amend the charges to a level one felony," Hamner said. The other amendment classifies Reese as a habitual offender. Both amendments would increase the penalties Reese will face if he is convicted. Keith Reese faces charges of burglary, armed robbery and criminal confinement related to the burglary at the Dixons' home. He faces charges of unlawful possession of a syringe, false identity statement, owi endangering a person, conversion and leaving the scene of an accident related to the hit-and-run accident in Greenwood. Hamner said Keith faces a possible maximum sentence of 72 years if convicted on all counts. His jury trial is currently scheduled for August 8.